What a great story. 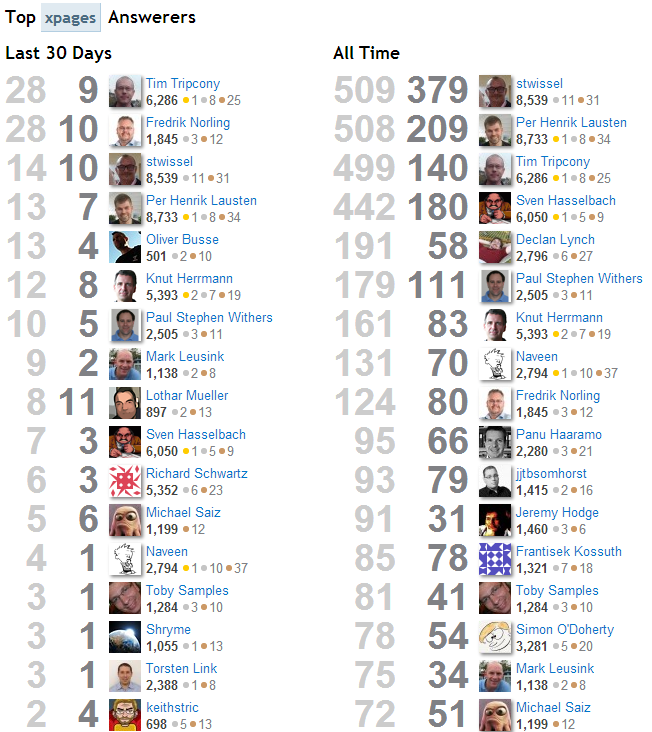 Two years ago the XPages community decided to use StackOverflow for XPages related specific questions and answers. Since then 2000 questions have been asked and 84% of them have been marked as answered. One advantage of StackOverflow is that XPages developers can get help from other developers who might not even know anything about XPages. For example questions about Java are often answered by Java developers. Another advantage of StackOverflow is the nice and intuitive user experience. 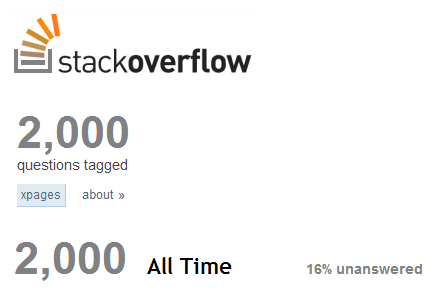 Plus StackOverflow gives people the visibility they deserve. A huge thank you goes to all contributors !